Listed on the California Register of Historical Resources and the National Register of Historic Buildings. Here’s what’s happening in Sunset Camp! Would you like to volunteer to be a part of the team that help preserve and promote Sunset Camp? We’d love to have you — find out how. During the 1930s, there was a tremendous migration of families, mostly farmers, from Oklahoma, Arkansas, Texas, and other states in the Southwestern Great Plains to California. These families were escaping the ecological disaster that later came to be known as “the Dust Bowl.” The families headed to California with high hopes of a better life, but often arrived penniless and hungry, with no immediate prospects for employment and no place to live. They became known as the “Okies”. Many found refuge in camps operated by the federal government with the most famous of these camps being the Arvin Farm Labor Supply Center. It is now known as the “Sunset Camp” or “Weedpatch Camp”, and is located just south of Lamont. In 1937 this camp housed approximately 300 people in one room tin cabins and tents. 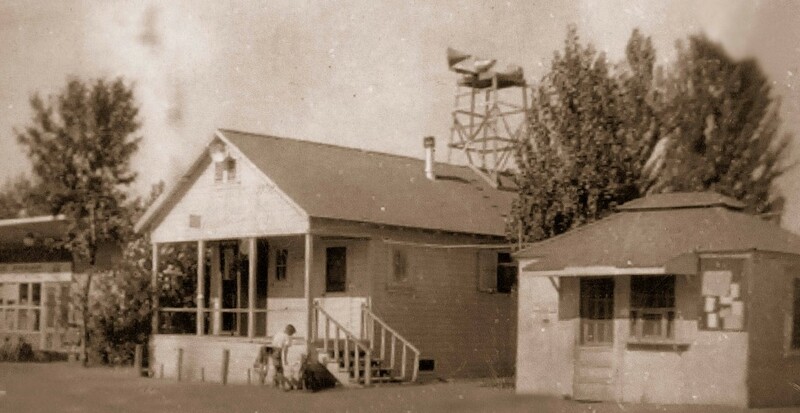 The Camp provided a safe place to live for many families, and resulted in a strong community that created its own school and later became the inspiration for the Weedpatch Camp, memorialized in John Steinbeck’s acclaimed novel, The Grapes of Wrath.